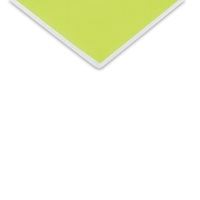 This foam board is ideal for hobbies, crafts, signs, presentations, framing, mounting, screenprinting, and laminating. It's great for structural applications such as displays, exhibits, models, and proto-types. 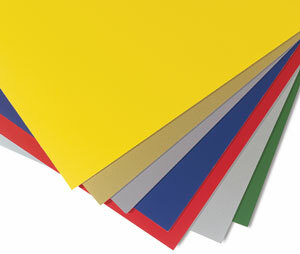 The brilliantly colored, clay-coated surface paper is permanently bonded to both front and back of the foam board. Waterbased, non-toxic inks create smooth consistent colors. The core is is resilient polystyrene which resists denting and crushing. 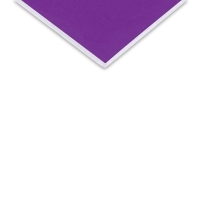 It's strong, rigid, and amazingly lightweight. CFC free. Easy to cut. Colored on one side, white on the other. 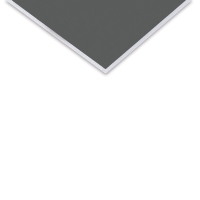 Foam Board, White Core, Pkg of 10 — This unique foam board is black laminate on one side and white on the other.